Blue Sky Pressure Washing Home Service in New Hampshire & Massachusetts w/ Blue Sky Power Washing 603-594-9274 "WASH" Blue Sky Pressure Washing Home Services in New Hampshire & Mass Over 2500 Homes served! Blue Sky Pressure Washing Your Home or Building! Here at Blue Sky Power Washing, for regular house, building or a sidewalk pressure cleaning, we suggest you consider a power washer service offering 1800-2500 psi. Hot water softwashing with a good technique is the key to cleaning well. Besides cleaning the house or a building from dust, dirt, mildew, or bird residual, pressure washing houses should also be done when you want to prepare it for new paint by removing chalking residue from old oil or latex paint. Our multi-velocity water sprays are exceptionally good not only because they're fast but also because they scour the old paint so the new coat will adhere better. Power washing will work on wood, granite, asphalt, bricks and aluminum. 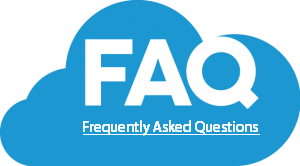 We do not recommend using it on hardboards because they are more sensitive and if the pressure is applied for extended periods the surface can be damaged. Instead Blue Sky would utilize a steam and softwashing process. Before Blue Sky will pressure wash black spots we will identify whether you are dealing with fungus or just extremely dirty areas. At that point the proper type of cleaning will be determined. Blue Sky Power Washing will proceed step by step to pressure wash your house and clean the outside of the building so that it gets a new and fresh look. Blue Sky professionals will connect the hot water washer to the outside faucet. Blue Sky will spray continuously in a steady pace from side to side. When Blue Sky is washing the house exterior we will use an appropriate distance and somewhat of a downward angle. Blue Sky professionals will never let the detergent sit on the surface for more then 10 minutes. The rinsing procedure will involve spraying the surface with fresh water until the entire area is detergent free. Blue Sky is known for being extremely cautious around windows and outside lights because these can break in seconds. We here at Blue Sky- Power Washing are trained to wash a wood surface, never holding the spray gun directed at one point for extended periods, moving the nozzle constantly and at a steady pace. Without this knowledge, an untrained person would make a dent and damage the wood. 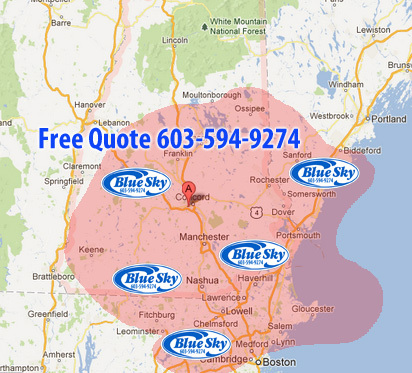 To Learn more about Blue Sky Wash for Your Home Call 603-594-WASH "9274"